The newest addition to Blackburn’s resurgent nightlife will transport customers to altogether more tropical climes. Business partners Benj Ashmead, Dean Rothwell and Rachel White are planning to open a Hawaiian themed Tiki Bar on King William Street complete with vintage surf memorabilia and exotic cocktails. Called Tiki Monkey, it will open in March 2017 next to the recently launched micro pub The Drummers arms, and is set to add yet another exciting new venue to Blackburn’s nightlife. Tattooist Benj who owns the Eagles Wing Tattoo Studio in Mincing Lane, says he has been thinking about the idea for a number of years. I used to live in the Northern Quarter in Manchester and there is so much choice around there and lots of great little bars with loads of character. I thought it would be amazing to open something like that in Blackburn. With The Napier and the micropub opening the town’s getting a bit of a buzz about it. And recently when I went out places were busting at the seams so I thought it was time to take the leap. After deciding to go for it he and Dean then approached long-term customer, Rachel to join them, who has managed and worked in bars for the last seven years. The group plan to have the drinks menu compiled by an award winning mixologist and offer a selection of American craft beers and ales. In the long term they hope to serve hot food and bar snacks. We’re not looking to compete with places like the micropub but compliment them and get a real circuit going,” added Benj who intends to show off the group’s collective skills in the bar interior which will be modelled on a tiki shack. Both the guys have also had creative careers, Dean’s previously worked as a joiner and Rachel’s a trained dressmaker so between us we’re hoping to create something really special that people will love coming to. 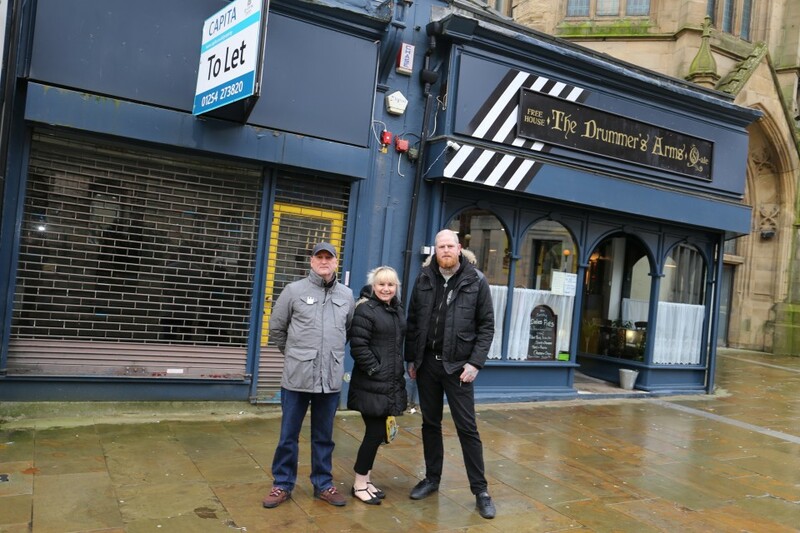 The new bar has been supported by Blackburn with Darwen Council as part of a drive to encourage new businesses into Blackburn and Darwen town centres and to tackle empty properties. The scheme sees new businesses offered a helping hand such as rate relief and planning permission assistance. I’m delighted that we’ve got yet another great new venue opening up in the town. This is exactly the kind of new business we’ve been working to attract: something a bit different that will help set us apart as a destination and that will build on the reinvigoration of our night time economy.